Decorative concrete flooring is one of the best ways to give great value to any contemporary construction project. It does not matter whether you are dealing with a residential or commercial property. The invention of ordinary functional concrete into one that has decorative and ornamental functions has enhanced the popularity of concrete in the construction industry. There are so many benefits that decorative concrete coating can bring your way. You will discover that it is far much better than non-concrete and ordinary concrete applications. The days when concrete used to be a big slab of cement that was only used as the foundation for wood, linoleums, tiles, and carpets floorings and past due. Decorative concrete flooring transforms this ordinary cement slab into a very beautiful surface solution that is able to stand on its own without the assistance of other ornaments. Trying viewing images of decorative concrete flooring and you will get to see what I am talking about. http://www.customconcreteorlando.com is one of the services that can make this dream to come true in your home. Painting contractors often use stamping to create aesthetic designs and patterns in cement mixes that have been freshly poured. Artful stamping can imitate the design of wood, slate, bricks, or stone. This means that you can give your home any finish that you feel is most appropriate. The finished product can also take on several interesting hues and can also blend well with rocks, stones, aggregates, and tiles to create a more artistic effect. You can also use stamped concrete as beautiful pavers. They are easier and safer to maintain and apply. And as a traditional masonry replacement, the application of decorative concrete coating has an extended useful life in comparison to the former applications. The application of decorative concrete coatings offers amazing design flexibility. You can use them in creating stamped, polished, stained, or acid-etched floors. These are normally cheaper alternatives to the expensive traditional floor coverings. Polished floors, to be specific, are used in most public facilities because they are easy to maintain, durable, and have an excellent reflectivity to the various sources of light. A polished floor will only require a concrete grinding and polishing premier, or polishing equipment and decorative concrete coating to transform the cement slab into a beautiful glossy flooring finish. You cannot run away from the fact that concrete is a strong and durable flooring material. It has that kind of rigidity that can tolerate almost all forms of physical impacts. 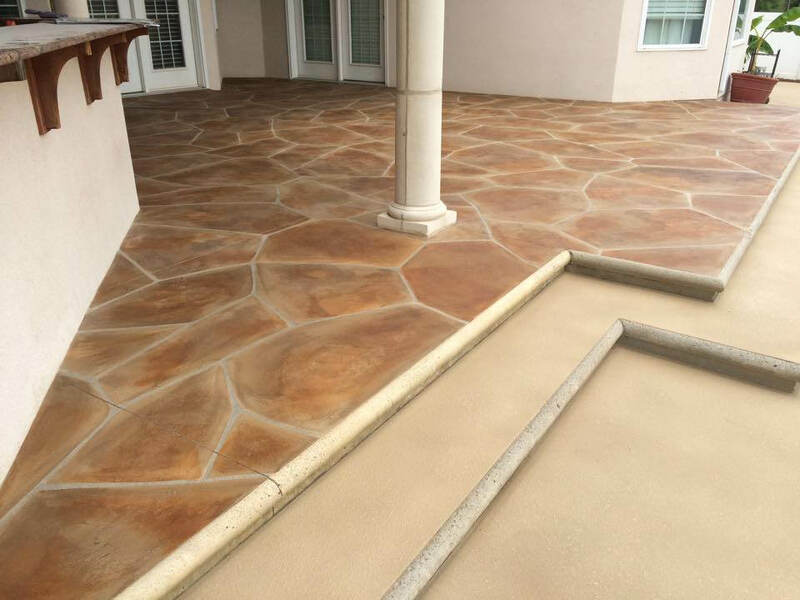 The decorative concrete coatings will usually transform the strong cement foundation into a gorgeous flooring system that has a long life and superior strengths. This blends together the element of beauty and functionality quite well. after all, everyone is looking for value while installing any flooring in his or her building. Decorative concrete achieves this objective with the highest level of precision. This kind of flooring system is closely resistant to any kind of load and has a slow deterioration rate than the traditional flooring system. With the application of decorative and protective concrete coating, it makes the surface even more resistant to destruction from wind, water, chemicals and any other sources of damage. The fact that decorative concrete coatings have a stronger resistance to damage and last longer means that you will not repair or replace them more often. This will significantly reduce the cost of maintaining your facility. The process of cleaning your floor is not a complicated one and you only require minimal cleaning or re-polishing. This means that the cost for every cleanup is also on the lower side. Decorative concrete flooring applications play a critical role in green construction projects. They support the course of energy efficiency as they can be able to retain a comfortable interior temperature in the building. This will, in turn, minimize the use of HVAC systems. The design of most of these decorative coatings support the reflectivity of light and this prevents the production of the ‘heat island’ effect by warding off the rays from the sun and lowering temperatures. There are very few construction materials that actually mimic these attributes. You will be sure of supporting the efforts to preserve the environment by using concrete flooring. This will also make your home more energy efficient. Unlike the conventional floor and wall covering, decorative concrete flooring also contributes to lesser than near-zero VOC emissions. It allows the easy removal of dust particles from their surfaces and the protective coating offers the best waterproofing properties. This will, in turn, inhibit the growth of harmful bacteria and maintain an excellent interior quality. Decorative concrete flooring is thus an excellent way of enhancing the hygiene of your home, especially in the kitchen. These applications bring together functionality and beauty into a single package that is complete. It thus turns it into a practical and popular flooring solution for your facility.